Hope you enjoyed the pics – if you are ever interested in having us make you a custom quilt, let us know! 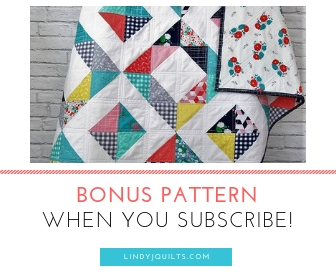 Download Our Triangle Quilt PDF Tutorial! You will also be subscribed to get our latest content by email. Previous PostClemson Tigers! A Finished Orange and Purple Toddler Quilt and a New Pattern! Next Post A Finished Michigan Toddler Quilt! And A New Pattern!